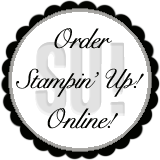 Have you seen the specials for this week? The Peekaboo Bigz L die is on sale for $30.71 (Reg. $40.95). This die is so cute and is also perfect for Children crafts! 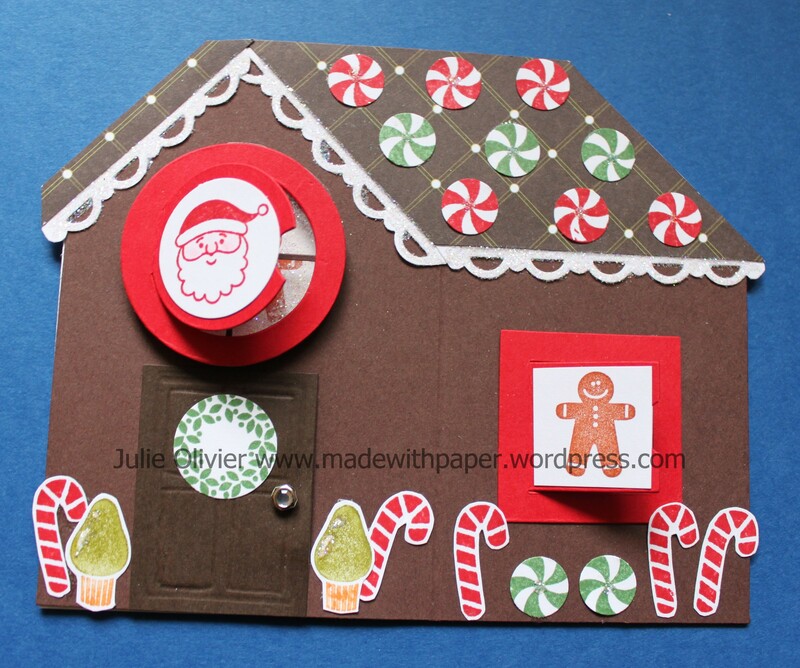 Now, the card I made is a “Gingerbread House” and I used the Jolly Bingo Bits set that is (unfortunatly!) retired now. This set was perfect for my card! Now, if you don’t have that set, I recommend the new set “Fun with Christmas” that is also on sale for only $9.57 (Reg. $15.95) until December 2nd. Some stamps are similar and could be used to replace the one I used. 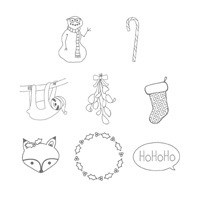 Fun with Christmas Clear #132745 Only $9.57 until Dec.2nd! 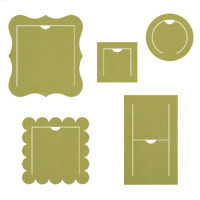 If you want to order this die or this set and take advantage of the sale, click here! I really had fun making this card! I even added a Shaker Window Frame and added some Dazzling Diamond inside! 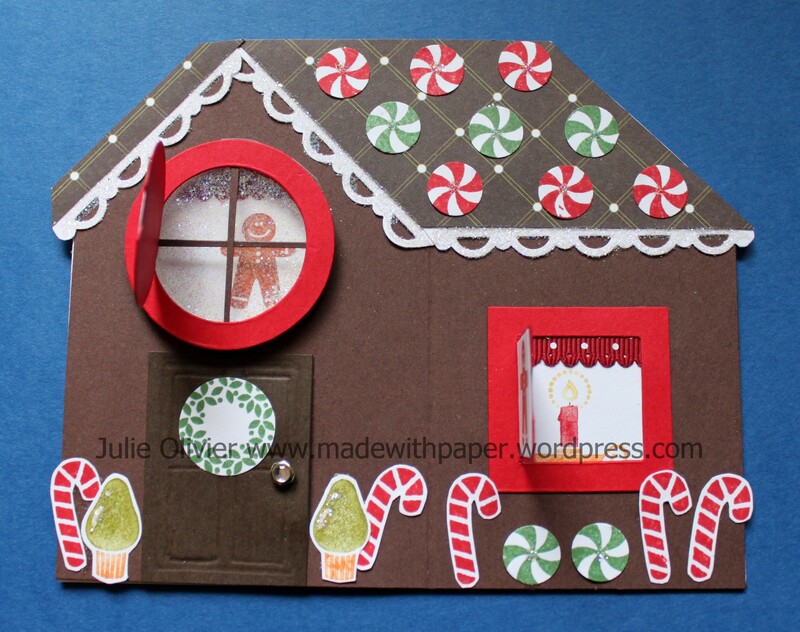 If you want to see another Gingerbread house (a 3D one) that I made, also using the Peekaboo Frame die, click here. I also made a few other cards with the same die. If you are curious, check them out! I hope I gave you a taste of how to use this fun die!